Needless to say, as a lifelong seamstress, much of Ruth's design work has been in fabric, and there are few challenges that she can't conquer. She specializes in bringing creative visions to life—whether her own or those of others—and is an adept problem solver. For the past several years Ruth has been a valued member of the New Balance R&D department, working in their model shop to build prototype athletic shoes and develop manufacturing techniques for the hottest new styles. In between her earlier life as a bridal seamstress and her recent role as an R&D tech, Ruth spent a decade working for a textile manufacturer stitching samples and building displays. Ruth completed a Graphic Design and Digital Imaging certificate program at UMass Lowell with a straight 4.0 and high praise from her instructors in 2012. It was during this time that she developed something of an addiction to Photoshop, InDesign and Dreamweaver. Now retired, Ruth has ditched her formal digital portfolio and scattered her favorite creations around this site. The thumbnails below offer pop-up displays of goodies built in Photoshop, Flash/Garage Band, InDesign, and Dreamweaver. To see a much bigger InDesign project, we suggest locating a copy of Twirling Jennies: A HIstory of Social Dance (and other mischief) in the City of Spindles 1820–1920. 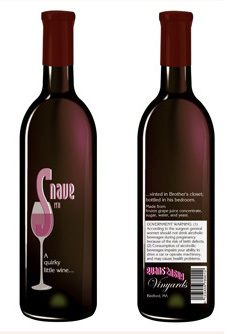 Oh, and the quirky wine label design, lower left, was done in Illustrator. The dance photography in the fantasy images is by Ella Carlson. The Flash animation uses a traditional English dance tune. The website was a Christmas gift for a family member. The brochure is for an imaginary inn based on Ruth's old house. And the booklet shares a trick Ruth devised during her bridal days. 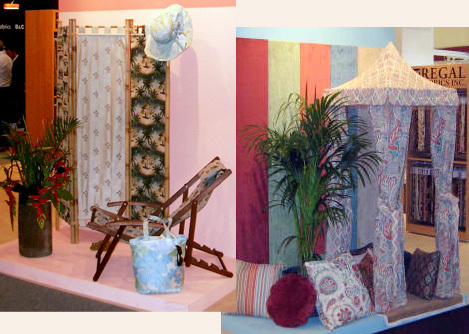 Also below is a link to images of Ruth's quilts. The first two were wedding gifts with embroidered insets done by people close to the couple. The third quilt sprung from Ruth's Lowell research project. She's also done some simpler quilts—but she's never made a habit of quilting as it takes a very special reason to invest the required amount of time. Today she spends time pruning her website collection, researching and organizing family history, involving herself with local non-profits, dancing (and performing) with her husband, and enjoying her family, her friends, her grandchildren and her neighborhood. She hopes to be doing more writing soon, both fiction and non-fiction.